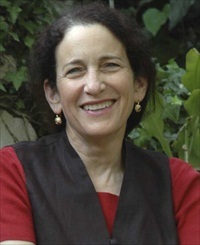 Nancy Levine received her PhD from University of Rochester in 1978. Working in the field of Socio-Cultural Anthropology, her research interests include kinship and domestic economy, demography, social change, and gender in the regions of Tibet and Central Asia. Her major projects include three and half years of research on household economy, population dynamics, gender systems, and social change in northwestern Nepal. She has also conducted briefer studies on the impact of government reforms on family structure and domestic economy among Western Tibetan agriculturalists, Tibet Autonomous Region, and on the impacts of transitions to a market economy and policies of sedentarization on ethnic Tibetan nomadic pastoralists in Sichuan and Qinghai Provinces, China. 1987 "Differential Child Care in Three Tibetan Communities: Beyond Son Preference." Population and Development Review. 13(2). 1987 "Caste, State and Ethnic Boundaries in Nepal." Journal of Asian Studies 46:71-88. 1988 The Dynamics of Polyandry. University of Chicago Press. 1997 with J. Silk. "Why Polyandry Fails: Sources of Instability in Polyandrous Marriages." Current Anthropology 38:375-398. 1999 "Cattle and the Cash Economy: Responses to Change Among Tibetan Nomadic Pastoralists." Human Organization 58:161-172. 2008 "Alternative Kinship, Marriage, and Reproduction." Annual Review of Anthropology 37:375-89.